Several courses I teach include discussion regarding the importance of understanding personality preferences. 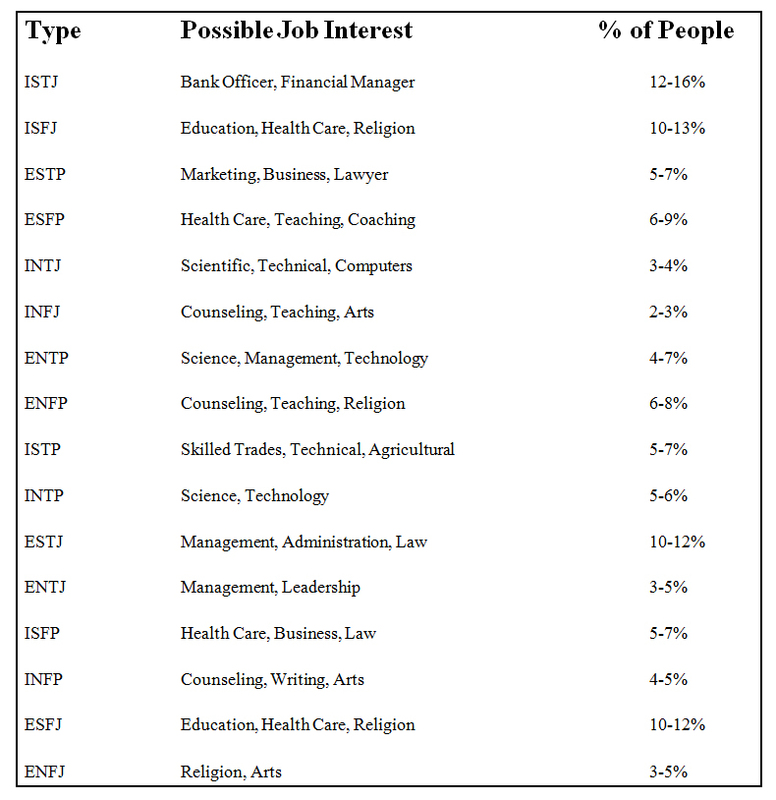 Students often take personality tests to determine their “type”. Part of their type includes whether they are introverts or extraverts (Myers Briggs spells extravert with an “a” instead of an “o”). In my training to become a qualified Myers Briggs MBTI trainer, I learned that people have preferences for how they like to receive and process information. We were told it was similar to how people prefer to write with their right or left hand. That is why I found the recent Wall Street Journal article titled How an Introvert Can Be Happier: Act Like an Extrovert to be so interesting. The title contradicts some of what I learned in my training. Einstein died from a ruptured aneurism in 1955. He was 76. An autopsy was performed in Princeton Hospital. According to the Einstein Quarterly article A Brief History of Einstein’s Brain, “Einstein’s brain weighed 1230 grams, well within the range of 1200-1600 grams that is normal for a human male.” Einstein never gave approval to study his brain. Permission came from his family once they were made aware that his brain had been removed and preserved. The brain is often described in sections, referred to as Brodmann’s areas. Einstein’s Brodmann area 39 (part of the parietal lobe) showed a statistically significant difference from the average brain. The parietal lobe may be an important indicator of intelligence. The latest research has discovered some differences in Einstein’s frontal lobe as well. To find out more about the importance of this lobe, check out the Nova video at the end of this article. Some interesting things about Einstein include: He had dyslexia as a child; he figured out the theory of relativity in his 20s, he played the violin, and Einstein had an IQ of 160. There is a debate about whether IQ scores are improving without a corresponding rise in intelligence. There is even conflicting reports that IQ scores are dropping. If they are actually rising, some speculate that there are a number of contributing factors including: education, technology, nutrition, and removal of toxins from the environment. Harvard Business Review recently published an article about how having women on a team makes the team smarter. Although they didn’t find a correlation between the collective intelligence of the group and the IQ of individuals within that group, they did find that if women were in the group, the collective intelligence was higher. The Female Factor: The chart plots the collective intelligence scores of the 192 teams in the study against the percentage of women those teams contained. The red bars indicate the range of scores in the group of teams at each level, and the blue circles, the average. Teams with more women tended to fall above the average; teams with more men tended to fall below it. 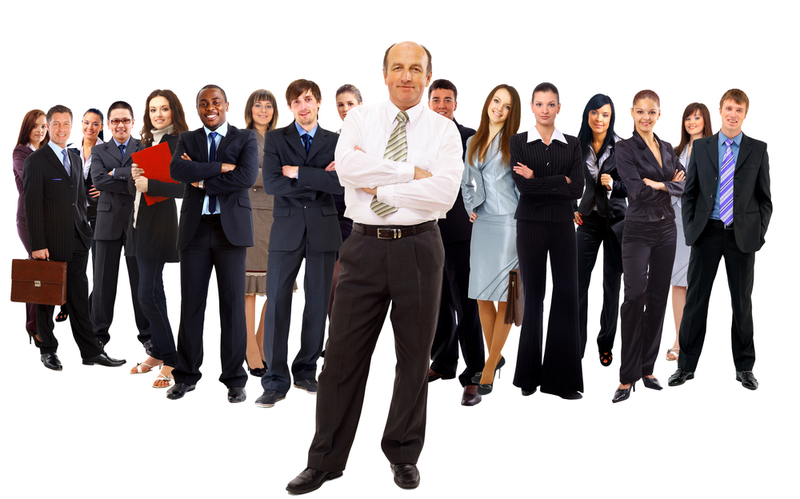 Finding the right mix of people on a team has been a consideration many organizations have dealt with in the past. These researchers hope to see how this information can help teams perform better in the future through changing members or incentives. In the past, I taught teams how to get along better through the use of the Myers Briggs MBTI personality assessment instrument. Through understanding personalities, team members could learn about each other’s preferences for how they like to obtain information. This became more useful to the team as a whole. In my training experience, I found that even if a team had members with high IQ’s, they needed to understand why other members of the teams did the things they did and required the information they required in the format that fit their needs. It was important to understand the collective needs of the team in order for the team to be successful. The recently released movie, Horrible Bosses, is about three friends who have three . . . you guessed it, horrible bosses. While it might be fun to watch Jennifer Aniston play a bad character, the movie brings up some interesting issues about authority figures and their power to affect people’s lives. In the early 60s, a guy named Stanley Milgram did some research into the willingness of people to follow directions given by those in authority. The question Milgram contemplated was: If you were asked to shock someone with 400 volts of electricity, would you do it just because someone in a white lab coat told you to do it as part of an experiment? You may think not, but you may be surprised. What Milgram was looking for was how authority leads to obedience. Isn’t that kind of what happens to you at work? You’re at the mercy of your leader or manager. You do what they tell you to do, because they are your superior, and you figure you should listen. Part of what makes up your personality is the part that is willing to obey commands that may not necessarily make sense to you. There may be a few people you’d like to shock some sense into at work. We’d like to think we’d be the test subjects that wouldn’t have pushed the button to deliver the shock to the recipients. The thing was, though, although the people thought they were delivering a shock, they weren’t delivering any voltage at all. The people who were supposedly being shocked were actors who were just pretending to be shocked. The people Dr. Milgram used as the “shockers” in his experiments were only paid $4.50, and were found through advertisements placed in newspapers. The reason Dr. Milgram wanted to do these experiments in the first place was what he’d seen the people in Germany doing in response to Hitler’s leadership. He was interested in answering a question that had haunted him from childhood: “What psychological mechanism transformed the average, and presumably normal, citizens of Germany and its allies into people who would carry out or tolerate unimaginable acts of cruelty against their fellow citizens who were Jewish, resulting in the death of six million of them?”(Blass, 2004). The experiment was intended to show just how far the “shocker” would go, based on receiving commands from someone in authority. This was all part of an experiment done at Yale. Predictions on how many people would be willing to continue to shock at high voltage levels were low … about 3%. In actuality, however, 65% were willing to give them the juice at the maximum level. Only 1% of the participants in the experiment, after having learned that it had been fake, were sorry they had participated. Milgram had the following to say about the results: “Ordinary people, simply doing their jobs, and without any particular hostility on their part, can become agents in a terrible destructive process. Moreover, even when the destructive effects of their work become patently clear, and they are asked to carry out actions incompatible with fundamental standards of morality, relatively few people have the resources needed to resist authority” (Milgram, 1974). Milgram went out of his way to ensure that this simulation looked real. He wanted those doing the shocking to believe they had actually caused the person receiving the voltage pain. Those receiving the fake jolts would emit pitiful screams, begging the person to stop shocking them. “The obedience experiments presented a disturbing view of human behavior. Milgram, his colleagues, and later the public were surprised by the sheer power of an authority to compel someone to hurt an innocent person, despite the absence of any coercive means to back up his commands” (Blass, 2004, p. 93). What does this say about our personalities? Think about Dwight Shrute on the TV show The Office? Isn’t he willing to do just about anything that Michael tells him to do to please his boss or, in other words, a person of authority? We’ve all worked alongside the Dwights of the world. Is it Michael who is to blame for how Dwight acts because he takes advantage of his willingness to please? Possibly. How do you keep from turning into Dwight? How are you supposed to question your boss? In hard economic times such as we have experienced recently, many people find it difficult to turn down any request at work. Fear of losing one’s job is a big factor in what we will allow. Unfortunately, many may not feel as if they have a choice, and will comply with demands. Is it OK to never question authority? There comes a point when employees feel psychologically abused, whether they recognize it or not. When someone is constantly a target of abuse of authority, they may not realize what’s happening right away. One instance of someone in authority making a negative comment may go unnoticed, however, should the comments continue, that can constitute an abuse of authority. This abuse can lead to poor work performance as the employee’s self-esteem drops. This excerpt is from the book It’s Not You It’s Your Personality . . . Click here to read the rest of the book. In the old Bob Newhart Show where Newhart plays a psychologist, there is a great episode where his wife Emily takes an intelligence test and discovers she is smart enough to be included in Mensa Society. Newhart’s score was not nearly as high as his wife’s which leads to his feeling of insecurity. At a Mensa convention, this painful reality is driven even further home as he mingles with other Mensa members that show off how they can say their name backward. When they all have an interesting way of announcing their reversed names, they ask him how to say his backward, where he disappointingly replies, “Bob”. How important are IQ tests? According to NursingDegree.com, “Even though its accuracy and reliability have been criticized over the past few decades, the IQ test continues to be the most widely used test for assessing mental ability.” In their article 10 Interesting Facts about IQ Tests, the authors cover areas such as: The difference between men and women’s intelligence; how IQ relates to breastfeeding; birth order and IQ; and much more. To see this list, click here. At birth: Girls are a few weeks more mature neurologically and have more advanced hearing. Boys on average weigh half a pound more. First words: Girls typically utter their first word at 11 or 12 months, one month ahead of boys. Vocabulary: At 18 months, girls on average know 86.8 words, more than double boys’ 41.8 words. By 30 months, boys’ and girls’ language skills have converged, at about 500 words. Walking: Caucasian girls and boys tend to walk around 12 months. African-Americans walk sooner, at nine to 10 months. Potty training: Girls are fully trained by 36 months, according to one study. Boys took a bit longer, training by 38 months. Onset of puberty: For girls, the process can start at age 9 to 10. For boys, it’s closer to 11 to 12. Controlling Emotions at Work: Part of Core Employment Skills? Lesley Wright’s recent article in the Arizona Republic offered some insight into a new book by author and ASU professor Vincent Waldron. Waldron’s book, titled, “Communicating Emotion at Work”, due later this year, will include information from his 20 years of studying emotions in the workplace. In the book, “It’s Not You It’s Your Personality” similar topics are covered in chapters about emotional intelligence and concern for impact. Concern for impact may be defined as how much we care about how others perceive us. In the Arizona Republic article, “Waldron argues that emotional communication should be a core employment skill.” Emotions are a buzz word in the workplace since Daniel Goleman helped increase the popularity of emotional intelligence with his book about why emotional intelligence could matter more than IQ. 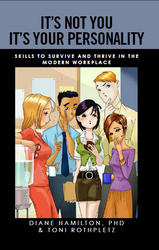 Books about emotions in the workplace can be a very effective tool to help explain why people act the way they do. This can be very important, especially in a team setting. As more companies are creating teams, understanding one’s fellow employees and their emotions can be critical to the success of a team and their projects. The human brain is still an enigma is many respects. Are there differences in the human brain that cause people like Einstein to achieve so much? Studies were completed on Einstein’s brain and they actually found he had some differences. There is speculation that due to the way that Einstein’s brain was missing a part of a bordering region, that this enabled neurons to communicate more efficiently. It appears that our brains are decreasing in size, more people with lower IQ scores are having children, but we can increase our education and nutrition. We can also learn more about how our frontal and parietal areas can be improved. There is hope that we are not necessarily headed for an Idiocracy-like future. If you are having difficulty enjoying your job, recent research indicates that the problem may be due to your personality type. The research, in November’s issue of The Journal of Psychological Type, is based on the Myers-Briggs MBTI personality assessment instrument and the EQ-i which is an instrument that measures your emotional intelligence level. Each letters has a meaning. The “E” is for extrovert and the “I” is for introvert. The “S” is for sensing and the “N” for Intuition. The “T” is for thinking and the “F” is for feeling. The “J” is for judging and the “P” is for perceiving. It can be very important to know your type as well as the type of others in order to get along in the workplace. In fact, I used to go to organizations to help teach teams about “type” so that they could better understand each other and be more effective. 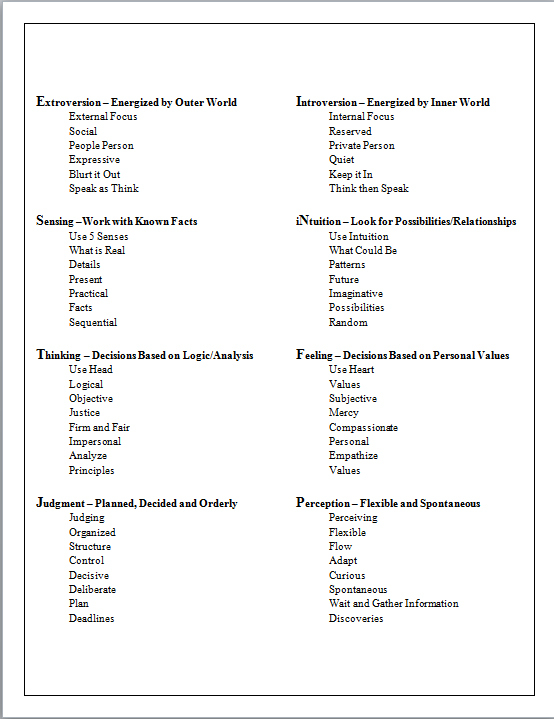 In our book, It’s Not You It’s Your Personality, Toni Rothpletz and I write about many different personality tests. We emphasized the importance of understanding your MBTI results and emotional intelligence levels to get along in the workplace. I wrote my dissertation on emotional intelligence and its impact on performance. While doing my research, I became a qualified Myers-Briggs instructor also received my certification in emotional intelligence testing. If you are not familiar with emotional intelligence, it has been defined in many ways. I prefer the following definition: Emotional intelligence is the ability to understand your own emotions as well as those in others. If you have not read Daniel Goleman’s books about emotional intelligence, I highly recommend them. 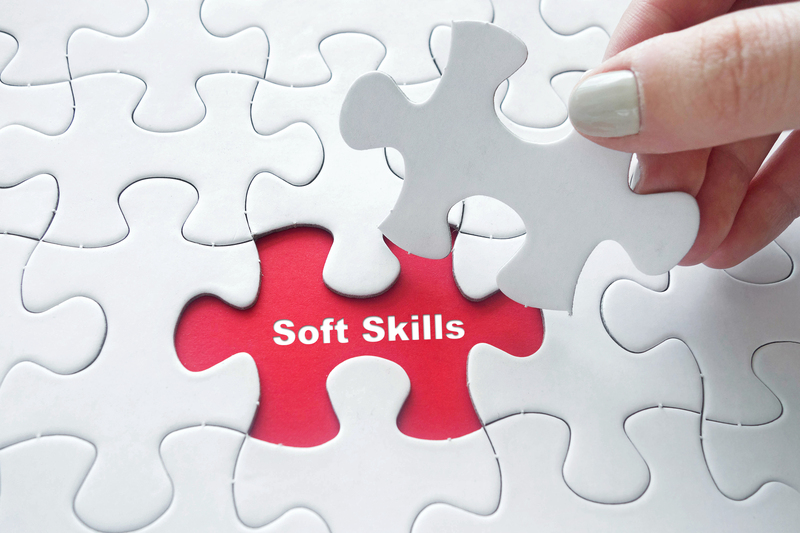 Goleman has made emotional intelligence a popular buzz word in the last 15 or so years. His work explains the importance that employers put on your emotional quotient (EQ). In fact, employers may not be more concerned with your EQ than your IQ. What do the results of this study mean to you? The research from Myers-Briggs shows that your basic personality preferences don’t really change. If you are an extrovert, you probably will remain an extrovert. However, you can change your emotional intelligence levels. Goleman has done a great deal of research into this area. That is the good news as one’s emotional intelligence played a more important role in one’s job satisfaction and organizational commitment than did the Myers-Briggs personality “type”. In our book about personalities in the workplace, we discuss the importance of emotional intelligence. I think it is important to constantly work on developing our EQ. I became qualified in emotional intelligence by training through Marcia Hughes. She has written books for ways to improve your EQ. The first step to improving your emotional intelligence is reading about what it is. If you want to improve your EQ, and improve your job satisfaction as demonstrated by this study, I would recommend looking into Daniel Goleman’s books and check out It’s Not You It’s Your Personality: Skills to Survive and Thrive in the Modern Workplace, due to be released in the next month. There was an interesting article in the Wall Street Journal today about why people can’t make decisions. Of interest was how some people are so ambivalent. Shirley Wang’s article in the WSJ stated: Now, researchers have been investigating how ambivalence, or lack of it, affects people’s lives, and how they might be able to make better decisions. Overall, thinking in shades of gray is a sign of maturity, enabling people to see the world as it really is. It’s a “coming to grips with the complexity of the world,” says Jeff Larsen, a psychology professor who studies ambivalence at Texas Tech University in Lubbock. Do you see the world in black and white or in shades of gray? • Speak their mind or make quick decisions. • Be more predictable in making decisions (e.g., who they vote for). • Be less anxious about making wrong choices. • Have relationship conflicts that are less drawn out. • Be less likely to consider others’ points of view. PEOPLE WHO SEE THE WORLD IN SHADES OF GRAY TEND TO…. • Procrastinate or avoid making decisions if possible. • Feel more regret after making decisions. • Be thoughtful about making the right choice. • Stay longer in unhappy relationships. • Appreciate multiple points of view. To find out what type you are, take the test, by clicking here. In Dr. Grupta’s blog, he wrote about: Who are the happiest Americans? According to a new study, they may be extroverted, earning more than $75,000 a year, healthy, and engaged. The analysis was conducted by Keirsey Research, an organization that looks at how personality relates to a person’s preferences in consumer choices, political opinion, and a variety of other factors. Click here for the rest of Grupta’s article. Personality. 63 percent of Americans rate themselves as very or somewhat happy. Extroverts (74 percent), however, are much happier than introverts (56 percent). Wealth. In general, the higher the household income, the happier the individual. 72 percent of those with an annual household income of $75,000 or more are very or somewhat happy, compared to 59 percent of those with an annual household income of $50,000 or less. Love. Not surprisingly, being engaged promotes above average happiness (71 percent very or somewhat happy). Those who are separated but not divorced are least happy when it comes to love (48 percent). Age. Americans get progressively happier as they get older, with one exception. Happiness takes a dip between the ages of 35-44 (58 percent are very or somewhat happy), when parental and career pressures are typically at their peak. Family. “Empty nesters” are most happy (73 percent very or somewhat happy), while those who are divorced and sharing custody are least happy (56 percent). Individuals who do not have children cite average happiness (62 percent). Education. In most cases, more education means more happiness. There was no difference, however, between the happiness of those with a bachelor’s degree and those with a graduate degree (68 percent very or somewhat happy). Politics. Democrats and Republicans are equally happy (roughly 70 percent very or somewhat happy), while Green Party affiliates are the least happy (52 percent). In our book about personalities, my daughter, Toni Rothpletz, and I go into detail about how to work with difficult personalities. In the working world, think of the advantage you would have if you could understand why people act the way they do, and could play on that. You could get along with even the most annoying of characters. You could play the “get promoted” game, because you’d have insight into what people really wanted. You wouldn’t have to guess why people weren’t responding to you, or try to come up with ideas that were never going to fly in the first place. Think of all the time you’re currently wasting being frustrated by people. By understanding yourself and others, your job could actually become something you enjoy doing.